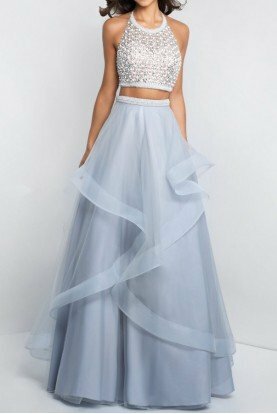 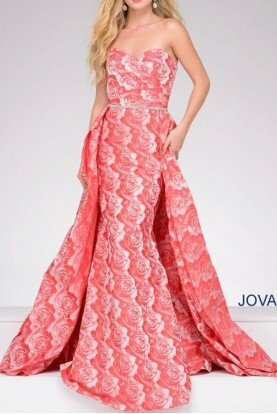 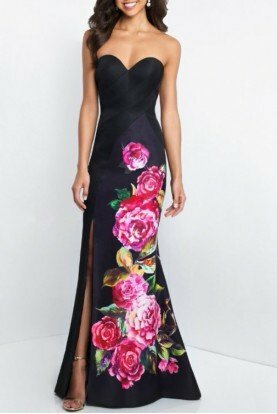 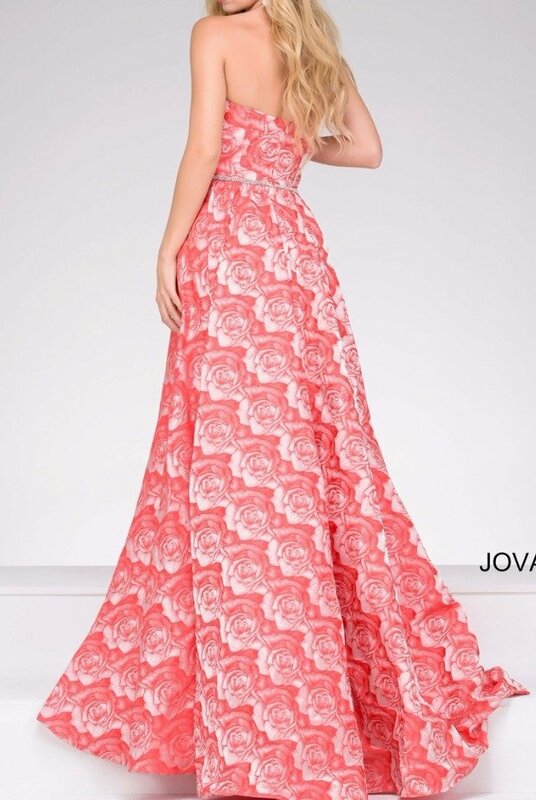 Rose prints and crystals enrobe this Jovani 45934 prom dress, topped with a strapless sweetheart neckline and finished with a split-front gathered overskirt. Asymmetrical pleats accentuate the faux surplice bodice. 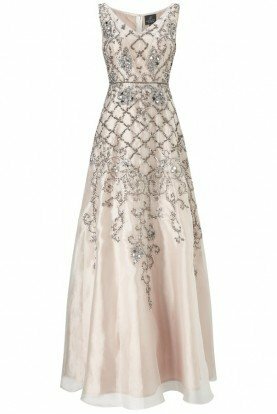 Stringed crystal beads defines the waist, leading to the slim-fitting inner skirt and attached panel train.